SQL Server Fix Toolbox is designed to recover information from damaged Microsoft SQL Server databases. Microsoft SQL Server Fix Tool works with the following versions of Microsoft SQL Server: MS SQL Server 7, 2000, 2005, 2008, 2008 R2, 2012, 2014, 2016. Fix Views, Stored Procedures, Functions, Triggers, Indexes, Keys, etc. 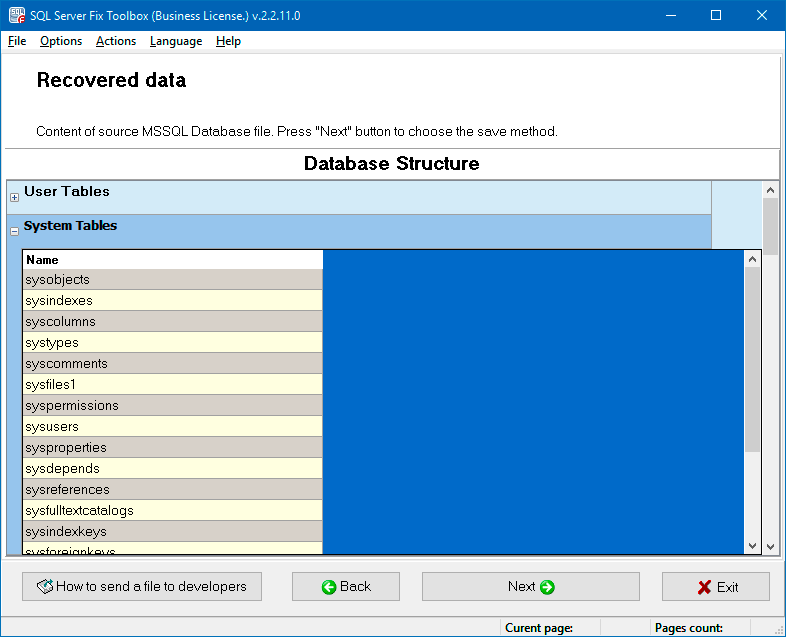 Fix databases consisting of several files (MDF and NDF). 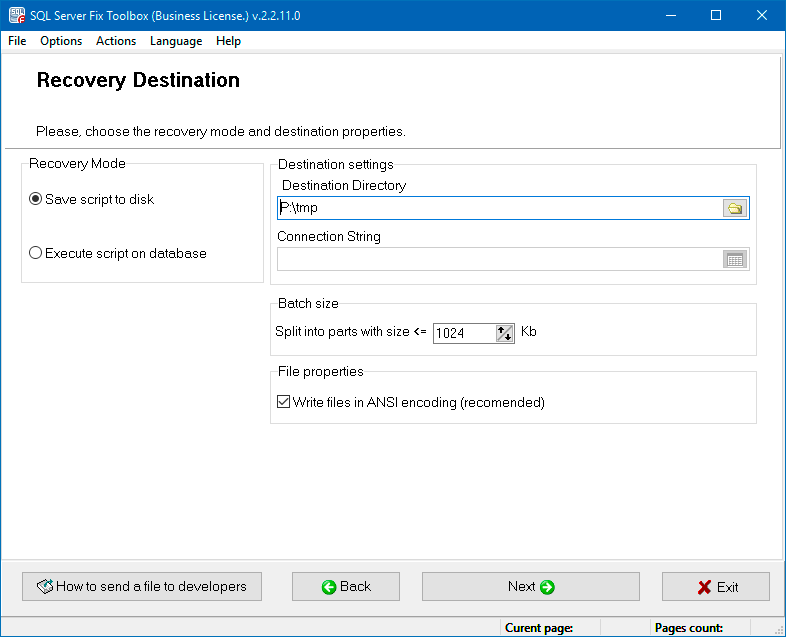 Save recovered data as SQL scripts or export directly to Microsoft SQL Server. 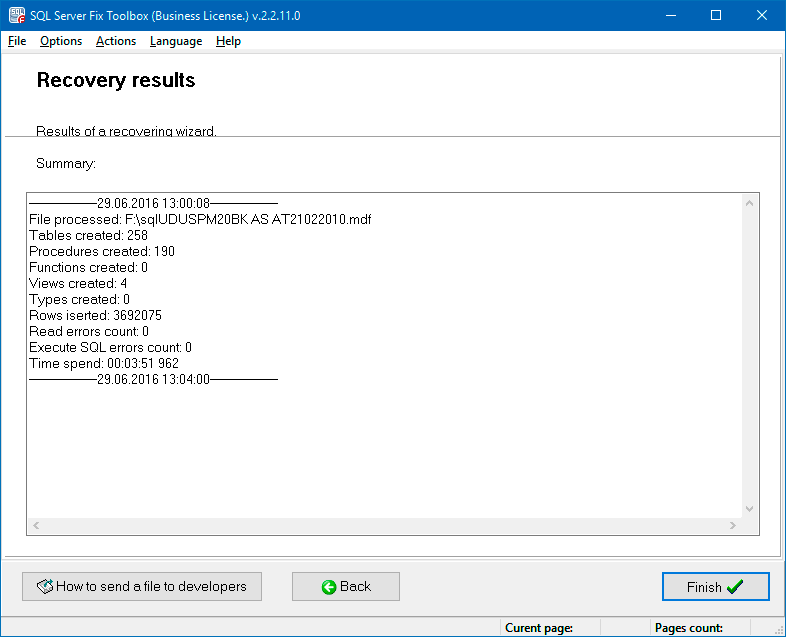 The Microsoft SQL database fix utility reads and analyzes damaged *.mdf and *.ndf files and either saves the recovered data as SQL scripts or exports the data directly into Microsoft SQL Server. The SQL Server database fix software helps to solve many MSSQL fix database errors. Note: The program is not licensed under GNU General Public License (GPL) or GNU Lesser General Public License (LGPL). 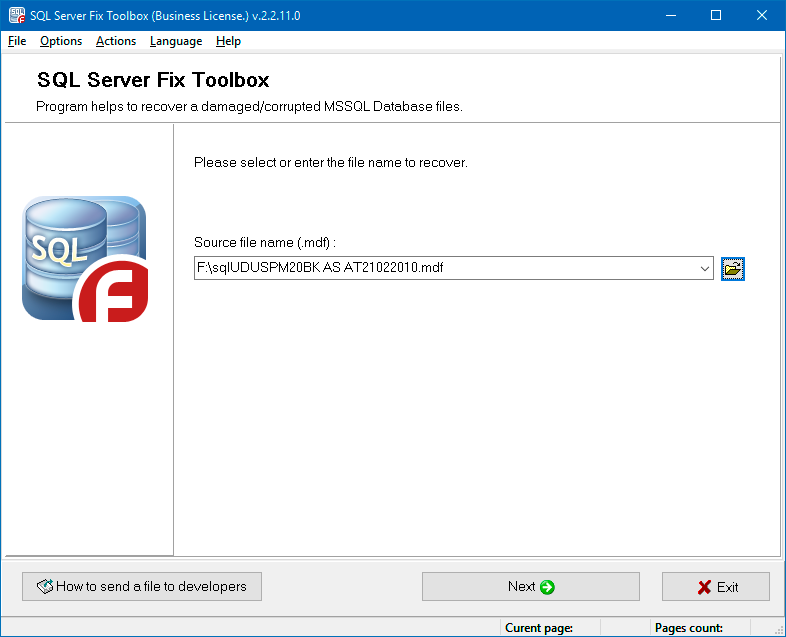 SQL Server Fix Toolbox is not open source software or a freeware tool. SQL Server Fix Toolbox is distributed on the try-before-you-buy basis with a free DEMO version. Select a corrupted database in MS SQL Server format to repair data from. Preview the data, that can be retrieved from corrupted files with *.mdf extension. Choose the method of data exporting.